Since 1963, customers have relied on Creditors Collection Service, Inc. to recover unpaid accounts. Request prompt payment in full. 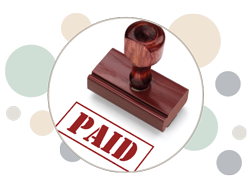 Investigate the ability of debtor to pay using a systematic and diligent follow-up. Search for assets and file legal action if necessary. Prompt monthly remittance report showing date and name of each collection made.